Psychologist and author Joshua Coleman is an internationally recognized expert on parenting and marriage, among other topics. Today we are pleased to present the first installment of his Greater Good blog, in which he explores the roots of conflicts between parents and their adult children. Stay tuned for Dr. Coleman’s subsequent posts, which will explore strategies for overcoming parent-child conflict. 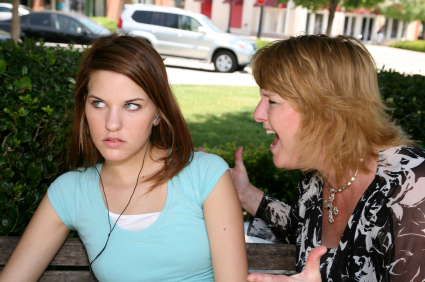 According to a recent Pew survey, a high percentage of today’s parents report fewer serious arguments with their children in their late teens and early 20s than they had with their own parents at a similar age. However, not all parents experience this kind of closeness. Some parents complain of ongoing tension and conflict with their adult children or, worse, complain that they are completely estranged from them. Part of the problem stems from the fact that parents today invest far more in their children than did prior generations of parents. According to sociologist Scott Coltrane, fathers do three times as much parenting as fathers in the 1960s; sociologists Suzanne Bianchi, John Robinson, and Melissa Milke report that mothers spend far more time parenting than did mothers in the 1960s. Among other reasons, this increased investment by both mothers and fathers comes as a result of parental anxiety about their children’s future, guilt about spending less time with their children than they believe they should, education about children’s developmental needs, and a desire to be a better parent than their own parents were. We have also radically altered our views about what we expect from children. Surveys in the 1920s showed that parents valued conformity, loyalty, and obedience; they wanted their kids to respect them, if not fear them. Today’s parents value individuality, tolerance, and the ability to think for themselves. They want their children’s love and are worried that they can easily jeopardize that love by not being a good enough parent. How have these changes affected parents’ relationships with their children as those kids get older and progress through adulthood themselves? On the one hand, better education about children and parent-child communication has increased the potential for positive long-term relationships between parents and children, as the recent Pew survey details. Children, overall, appear to be doing better as judged by test scores and declines in youth crime, teen pregnancies, and suicide. On the other hand, the onset of clinical depression occurs much earlier than in prior generations of children, and college health centers complain about not being able to handle the volume of students who are struggling with psychological issues. The environment for parenting has also changed. In comparison to the past, parents have far fewer support systems of kin and neighbors to help them strike the right balance in their child-rearing. With people spending less time with their friends and communities, many parents turn to their offspring for fulfillment, intimacy, and long-term security—and those children are far more likely to be at home with their parents than they were in prior generations: Historian Steven Mintz has observed that between the early 1980s and late 1990s, unstructured play and outdoor activities for children declined nearly 40 percent for children ages three to 11. While more time with children creates more opportunities for bonding, a more intense relationship increases the potential for conflict, resentment, and disappointment on the part of both parent and child. As sociologist Annette Lareau observes in her book Unequal Childhoods: Class, Race, and Family Life, middle class children are encouraged to develop a perspective of mutuality or equality in their relationships with adults. In a study, she found that these children frequently and comfortably passed judgment on the adults around them. “In general the children of middle class parents have a sense that they are special, that their opinions matter, and that adults should as a matter of routine adjust situations to meet their children’s wishes,” writes Lareau. A greater degree of entitlement and comfort with adults can be highly adaptive in a world that requires autonomy, assertiveness, and comfort with authority. And in most cases, these children grow up to be highly respectful of their parents and other adults. However, this entitlement is problematic when it’s combined with a prevailing cultural notion that children’s outcomes in life depend largely on how their parents raise them. Because while parenting is important, it isn’t the only experience that shapes children. Current studies show that class, genetics, peer group, and sibling relationships are also powerful determinants of how kids turn out. A culture that over-attributes parenting behavior to children’s outcomes may confuse adult children about the formative influences on their life, and may make them more likely to blame their parents when things don’t turn out the way they’d hoped. Overstating the relationship between parenting behavior and child outcome may also cause politicians to wrongly attribute blame to the family for conditions that are better understood as having an economic basis. As historian Stephanie Coontz observes in her book The Way We Never Were, blaming parents for how children turn out is especially unfair when applied to the poor and working class, since research shows that the social dynamics of poverty and low status give them less influence over their children in relation to peer groups than parents in other classes. And as sociologist Frank Furstenberg has noted, the financial and emotional costs for American parents are much greater here than in many European countries where the government takes a more active role in health care, education, and job training for young adults. While parents in the U.S. are expected to provide an even greater investment in childcare, entertainment, protection, college, and after-college care than prior generations of parents here and elsewhere, there are fewer guidelines for what they might expect in return. Parents may feel hurt or betrayed if they do not get the love and gratitude they look forward to and believe that they deserve, and this may cause them to strain the relationship with their children even further by complaining or criticizing about their lack of availability or attentiveness. Fortunately, in working with the parents of adult children, I’ve found that there are effective ways for them to overcome these conflicts. While every family is different, I believe that the following principles are the most important. Take responsibility for whatever mistakes you have made as a parent. If there’s a kernel of truth in your child’s complaint, speak to the kernel of truth. Honor the “separate realities” nature of family life. Just because you made decisions with your child’s best interest in mind, doesn’t mean that they were experienced in the way that you intended. Don’t try to prove them wrong. Avoid guilt trips: a) They don’t work and b) When they do, you’ll pay a high price for the resentment you’ll generate in your adult child. Try to hear your child out. Don’t be defensive. Ask questions. Don’t give up too soon. If there’s been an estrangement, you may need to reach out for a long time before you see an improvement in the relationship. In general, avoid giving advice that isn’t asked for. If you don’t want to give money or help, say so in a loving way, not as a complaint or criticism. Don’t criticize their spouse, their significant other, or their sexuality. Don’t tell them how to parent. You had your turn. Let them have theirs. Each of these recommendations has its challenges. Therefore, my next several posts will go into more detail on them, exploring precisely how parents can strengthen their relationship with their adult children. Are you estranged from your adult children? How have your tried to bridge the distance and rebuild the relationship? What advice would you give parents who are just attempting this journey?